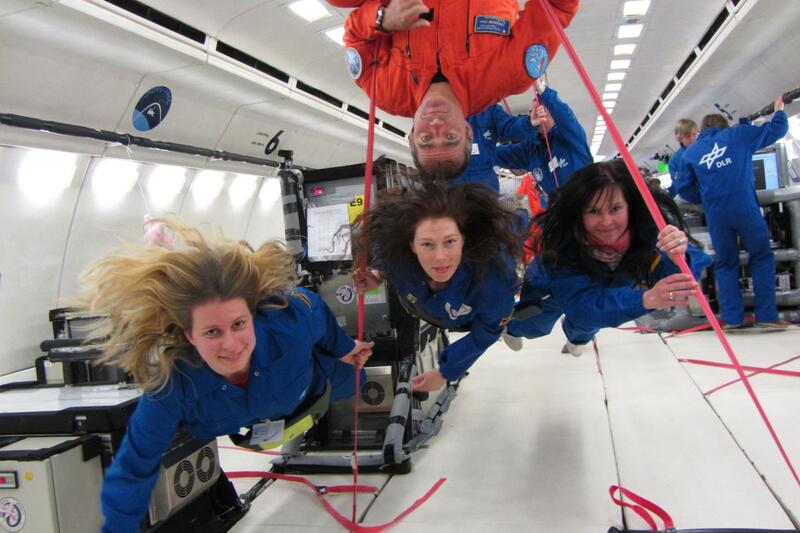 A year ago, the University of Zurich conducted its first parabolic flight for test purposes from Swiss soil. Now a second aircraft is ready for lift-off to research zero gravity: Saturday, an Airbus A310 ZERO-G is set to take off from the air force base in Dübendorf equipped with scientific experiments from the Universities of Zurich, Basel, Lucerne and ETH Zurich. The aircraft will perform special maneuvers to generate weightlessness in particular zones over the Mediterranean. On these trajectories – alternating between steep climbs and descents – the earth's gravitational pull will be overcome for periods of 22 seconds at a time. Diverse experiments can be conducted on board during these brief phases. Parabolic flights are vital for research under changed gravity: They can yield fundamental insights into the role of gravity in biological or physical processes. For instance, UZH is studying how human tissue reacts to the lack of oxygen in zero gravity – a key question for space walks; Lucerne University of Applied Sciences and Arts is using electrophysical tests to research the mechanisms involved in the perception of gravity by cells; a team of chiropractors from Balgrist University Hospital is testing functional connections in the development of back disorders, which can be identified more effectively in zero gravity; and another experiment conducted by ETH Zurich is devoted to the role of gravity in phytoplankton behavior, which should help improve our understanding of one of the most important oceanic microorganisms on earth. Besides these "terrestrial" experiments, however, one is also aimed into space: The University of Basel is testing sedimentation behavior in Mars' gravity, thereby obtaining crucial data for the calibration of mathematical models with a view to reconstructing the planet's environmental history. The research flight is also attractive for the space industry: An experiment conducted by the Swiss start-up SpacePharma is testing scientific hardware designed for use on small satellites. "Thanks to these research missions, Swiss Parabolic Flights, which were initiated by UZH, have taken root in Switzerland," says Professor Oliver Ullrich from the University of Zurich. He runs the Platform for Scientific Research in Zero Gravity, which is also backed by the Swiss Space Office of the State Secretariat for Education, Research and Innovation. The flexible combination of research from universities, industrial experiments and private individuals enables the costs of the flight to be minimized for science. These research flights into zero gravity are made possible by the close collaboration between Novespace, a subsidiary of the French space agency CNES, the Swiss Air Force, the Air Force Center in Dübendorf, Swissport and the Swiss SkyLab Foundation.